Sony went big this year at EB Expo. Their floor space was enormous, dwarfing nearly every other publisher and offering way more individual games as well. With PSVR set to release next month, it would be important for Sony to really showcase the strengths of the platform and after the show, it’s clear to me that variety is not lacking from PSVR’s launch lineup. For the more traditional PlayStation player, Horizon: Zero Dawn was the big showstealer, with a few other games also seeing promotion. Sony’s 2016 showcase definitely highlighted the PS4’s diversity and the sheer amount of quality titles coming in the holiday season. Having tried a few VR games before, my first instinct was to join the line for Horizon: Zero Dawn, and in line I had the chance to watch just how excited people were getting over VR. I watched people of all ages grin widely as they hurtled through imagined corners in Drive Club VR, fiddling for gear shifts and clutches that weren’t really there. I saw the excited lines for BattleZone, a tank arena shooter, and EVE: Valkyrie, a space battle simulator set in the eclectic EVE Online universe. I even watched the apprehensive lines standing outside the Resident Evil VR booth, a line which I never mustered up the courage to join. Excitement for PSVR is an all time high, and though Sony has already sold out the first round of shipments for the device, it has 2017 and onwards to set up for now. There are lots of games and exclusive experiences for the platform though: all healthy signs which suggest it has a strong future ahead of it. Horizon: Zero Dawn itself was where I truly let myself go however. I’d been excited for this game for months; just seeing the Sony sizzle reel footage made me want to play it immediately. And not only that; because Horizon: Zero Dawn is a new IP from Killzone developers Guerrilla Games, a studio that knows how to make a great shooter full of action sequences, and one of the rare new IP’s across the whole convention. Which is why I was admittedly surprised when the demo was about hunting normal things, gathering and crafting – I thought I would have been hunting robot dinosaurs, which is what the game is meant to be about! I did still have a lot of fun; the developers have the bow and arrow mechanics down pat and shooting feels very natural. I’m still not completely sold on the RPG aspects, we didn’t really get to see skills or character progression in the demo but the bow and its various arrow types were useful enough that I don’t see a place for levelling up and spending skill points. 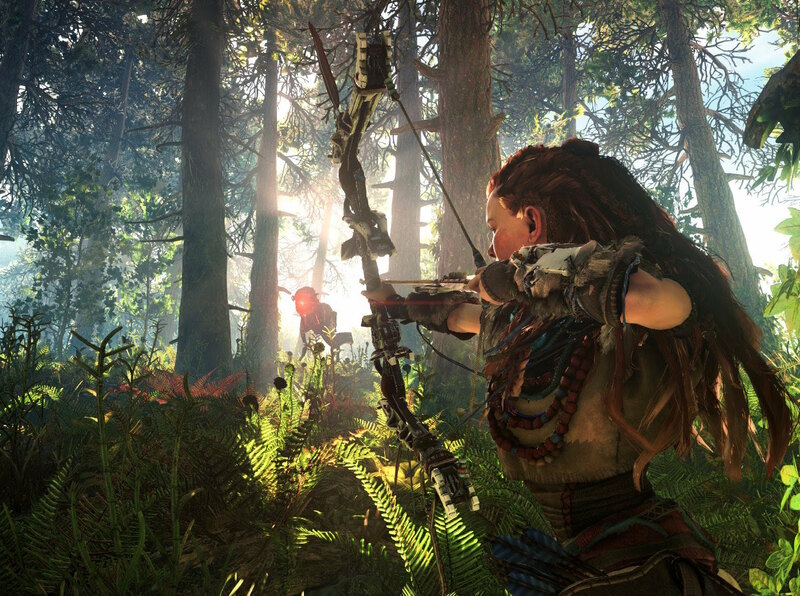 Time will tell though, as it is, Horizon: Zero Dawn already boasts a robust shooter engine, excellent world building, masterful animation which is believably robotic and organic at the same time, and Aloy, one of the more interesting protagonists we’ve seen in a triple-A title. I left the demo hungry for more, and I can only hope the final product will deliver. Of course, Call of Duty: Infinite Warfare also deserves a mention, taking up lots of space and offering a new evolution of FPS combat with a six-class system and a futuristic, space station setting. The demo offered the traditional competitive format as well as a demo for the VR space battle component of the game. I did grow quite partial to last year’s colourful and eclectic Black Ops III so the return to a metallic, emotionless aesthetic in Infinite Warfare wasn’t the biggest plus for me. The focus on intense, action combat though ensures that this game will fit in nicely with other titles in the series. The other big hitters for Sony at the convention were Resident Evil 7, Destiny: Rise of Iron, WWE 2K17 and Gravity Rush 2. Resident Evil saw a lot of attention for its VR demo, aided by the recent PS Plus demo which already had everyone talking about the game. 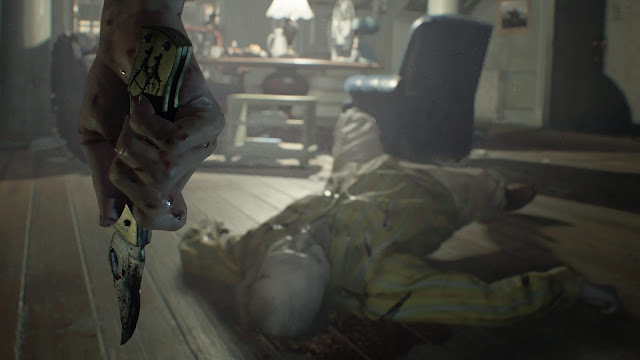 Honestly, I found the shift to first person perspective and the focus on haunted-house horror a bit of a strange departure from the B-grade action horror of the latest few games, but fans have been supportive of the new direction and flocked to the VR demo. 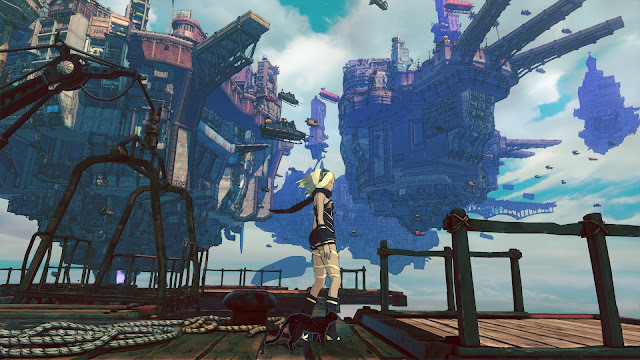 Gravity Rush 2 was also a bit of a sleeper attraction, tucked away in the free play booths, boasting some gorgeous graphics and smooth gameplay, greatly extending the vision of the first game. Rounding out the display were the family friendly titles Lego Dimensions and Skylanders Imaginators. Both had a distinct focus on customisation, with lots of combinations and possibilities leading to creative gameplay and a lot of possible content. I particularly enjoyed the way Lego Dimensions was positively bursting with pop culture references and content from other franchises, meaning fans of all sorts of games, movies and TV shows will find something to enjoy in the game. Skylanders Imaginators moves the series forward by allowing the creation of original characters, further giving players more freedom to explore the Skylanders fantasy world at their own pace. I was a bit disappointed at the overall dearth of indie and artsy content at the Sony booth. While tons of great indie games have been released on PS4, the only real game showcased was Bound, along with a short video of The Last Guardian. Both are great games and I am remarkably excited for the latter, although I would’ve loved to see Sony dig a little deeper into the PSN’s upcoming catalogue. There seemed to be a general consensus on promoting the big, up-and coming titles from esteemed developers this year (one assumes because they're the ones EB Games is looking forward to selling to consumers), so I very much hope the indie talent on PS4 doesn’t get overlooked this holiday season. To sum up, Sony gave a powerhouse show at EB Expo 2016, really capitalising on the power and intrigue of PSVR while also proving that it has lots of fresh ideas for the base PS4 console as well. With an enormous list of upcoming games, there’s truly something for everyone. The skies are definitely blue for PS4 owners!